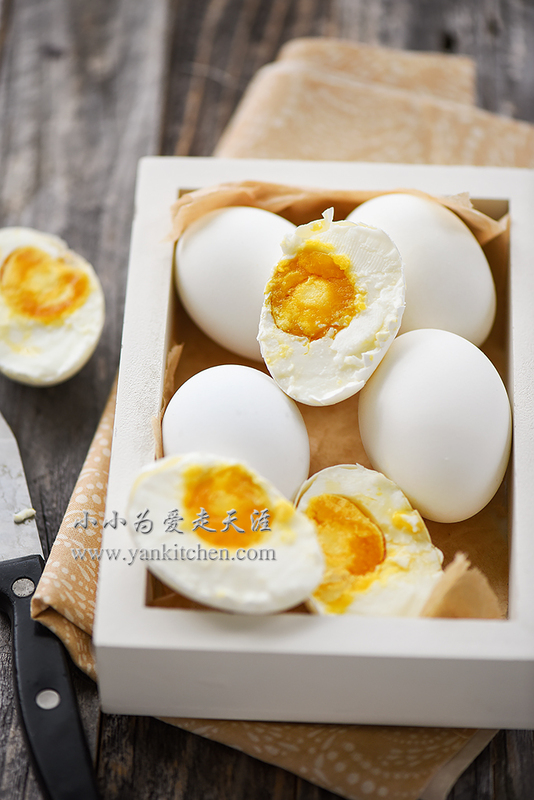 Salted eggs are a popular side dish all over mainland China. They are usually served with congee or porridge. The traditional ones are made with duck eggs. Fresh duck eggs are rarely available on the market where I live, so I substitute with chicken eggs. They turn out great. I am quite happy with the results. After brined in salty water plus alcohol brine for 4 weeks, some changes have been going on inside the eggs. Aside from being salty, the cooked egg whites look pretty much just like regular hardboiled egg whites. The best part is the yolks. The salt and alcohol transform the yolks into a delicacy. They are beautiful golden color. The yolks taste a little bit grainy but in a good way. The whole yolk is loaded with oil which comes from the yolk itself during the brining process. That is a sign that I have a batch of successful salted eggs. Whoever invented this way to preserve eggs was definitely a genius. 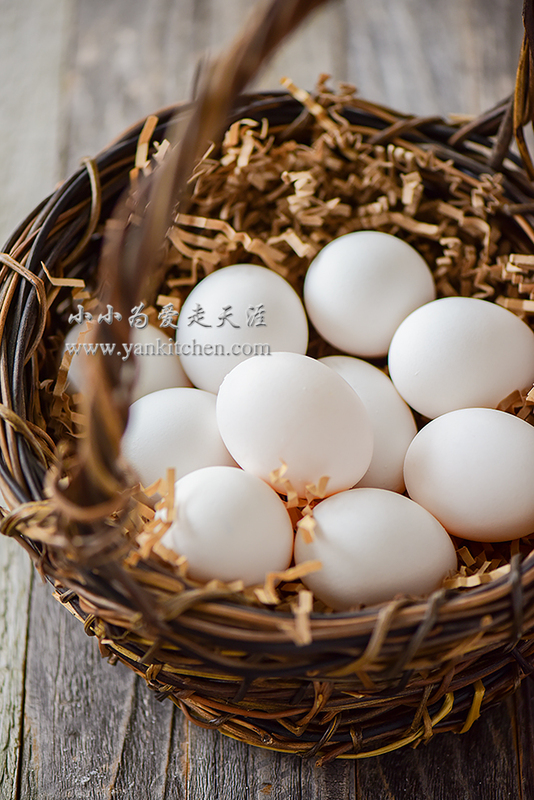 Ordinary duck and chicken eggs are transformed into something delicious and amazing which you have to taste for yourself. Rinse the eggs under running cold water. Pat dry with kitchen towel and then allow the eggs to get completely dry at room temperature. Soak each egg in vodka for 20 to 30 seconds. Add the eggs to a Ziploc bag. Seal and mark the date. Wait for 30 days. Remove the plastic wraps and rinse off the salt. Cook the eggs in boiling water for 10 minutes. After the eggs are completely cool down, it is time cut them in halves and serve with congee.